On June 12, Vietnam’s National Assembly passed the Law on Cybersecurity with a huge majority. The law will be coming into effect on January 1, 2019. The major provisions in the law include data localization, government control over online content, and setting up local offices in Vietnam. Although the law has been adopted, there are still some issues that lack clarity and more changes are expected to be introduced and implemented before it comes into effect. Firms involved in collecting, utilizing, and processing of user’s data including personal information. Information that needs to be stored locally should include the user’s personal information, online relationships, and all other data generated by the users. Further clarity on issues such as duration of storing user’s data and restrictions on the cross-border transfer of data, may be provided through subsequent decrees and circulars. 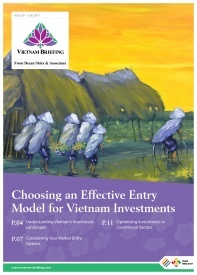 Offshore entities under the purview of the law need to establish a branch or representative office in Vietnam. Transmitted, processed and stored data. The government authority will be required to send a notice to the system owner at least 12 hours prior to an audit and will provide the results of the audit, within 30 days from the completion of the audit. Article 29: Focuses on protecting children in cyberspace. Foreign governments and firms believe that the new law can affect foreign investments and firms operating in the country. 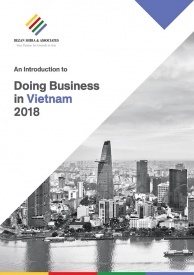 According to the Vietnam Digital Communications Association, the new cybersecurity law can reduce GDP growth by 1.7 percent and reduce foreign investment by 3.1 percent. However, the government believes that this law is necessary for national security and the protection of citizens, as Vietnam lacks a legal framework for cybersecurity issues. Before it comes into effect, further changes may be implemented in the law, as currently, it lacks clarity on a number of issues.